This release goes all over the place, covering numerous styles and approaches rarely disappointing, but unfortunately, disc one is primarily what most will hear as it got a physical release. The second disc is the one which I found to be the reason for looking into Architect's latest. Although it is digital only, 'Remix.2' contains the more challenging takes on Architect's tracks, specifically the one provided by my favorites from Cologne, Misc. This pair are renowned for their minimalist tech house work and last year blew the roof off the world of eclectic electronics with their album as Niederflur, 'Bipolar'. How easy it is to get off track, do pardon me, this is an immense collection which won't let you down, no matter how demanding or unsympathetic people around you get. 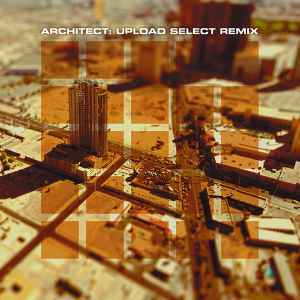 I'm quite pleased that Architect decided to do a massive remix outing because these artists go all kinds of wild places with what they do. As usual, Stendeck, Subheim and Hecq provide the most interesting revisions. Hecq appears on both discs, actually, which in itself is quite a feat given how different these two albums are. That's not all, either, everyone. Dejan of Haujobb provides a remix under the name DSX that kills! This is one of those pieces of work on his soundcloud I alluded to when reviewing Haujobb's latest EP, everybody and it's a mighty fine day to get something off of it. One down, four to go. I'm actually surprised that Mr. Myer himself didn't do a remix on here or maybe he did under one of the unrecognizable names that have sneaked past me. For A Space finally emerge again with a sleekly executed version of "For You" while Keef Baker get down and dirty with a remarkably beat up take of "Attack Ships on Fire". It's a no holds barred free for all with relentless attention focused on both meter and tone; if you can't keep up then too bad, this train isn't stopping for anyone. Many times remix albums get to a point where it all becomes too much and everything begins to run together like some poorly fashioned art deco ensemble or ramshackle prefab dining set but there is enough variance on 'Upload Select Remix' to keep it interesting throughout the over two hour mark it reaches. Be brave and play it all the way through, don't skip tracks or skimp on the time you spend with this. All the artists involved certainly didn't. There weren't really any indications of just how epic of a remix project this was going to be and I'm quite pleased they kept mum as this is less a remix album and actually two new records from Architect at once. The last time someone pulled it off this convincingly would have been 242's 'Up Evil' and 'Off' saga back in 1993. Good things come to those who wait.